HG01. 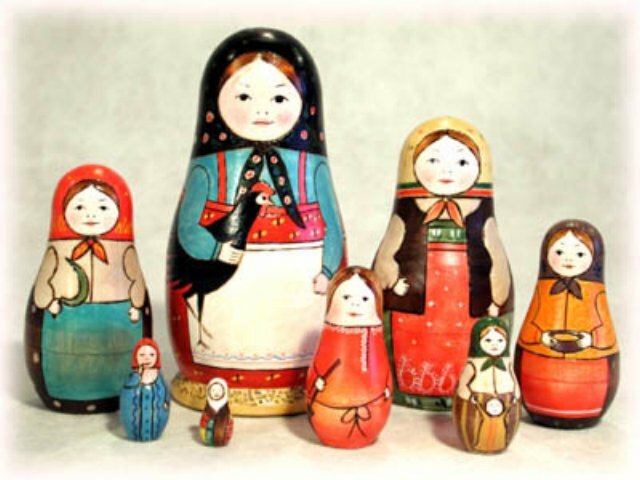 Rooster Girl Doll Reproduction 8pc./7"
To pay homage to the century-old art form of the Matryoshka, we proudly introduce our "Rooster Girl" - a faithful replica of the first Russian nesting doll created in the 1890s by toy makers outside Moscow. This historical collector’s item, limited to 2,500 sets, belongs in every nesting doll collection! A Golden Cockerel exclusive painted in St. Petersburg.